You will never run out of fun things to do in Napa Valley at any time of the year — yes, even in the off season. Sure, every fun activity depends on the season; in this case, you cannot enjoy swimming during the chillier autumn and winter seasons. But there are also fun things that you can enjoy — and enjoy all over again — throughout the year in Napa Valley, no matter the season. Visiting wineries is one of them, of course. This is the essential activity every tourist must do when visiting Napa in any season. The wineries that you will visit really depend on your preference and budget. If you’re not much into wine, you will still be able to enjoy wine tours for other considerations such as history and background, fabulous architecture and verandas offering fantastic views of the vineyards. Some wineries are castle-like in appearance, such as Chateau Montelena (whose wines emerged victorious at the Judgment of Paris in 1976), the French chateau-inspired Domaine Carneros, and the massive Castello di Amorosa whose architecture faithfully follows the 13th-century Tuscan style — complete with moats, a drawbridge, a courtyard, and defensive towers. Some wineries feature stunning, unique architecture that even non-wine-lovers will have fun visiting them. One such winery, the Sterling Vineyards, is the only one in Napa where you will enjoy a cable car ride which offers splendid views of the fields and the forests. Explore the hills of the Napa Valley — in any season! Have a day hike in the hills or visit hilltop wineries and see the beauty of the Napa Valley in any season you choose. The lush, verdant hills and vineyards typically charm visitors during the summer. But some say that the fall and the winter seasons show the Napa Valley at its most beautiful. In the fall, each varietal turns a different color from the other grapes, and the vineyards boast their striking golden colors. Winter and spring, on the other hand, provide enchanting beauty in the countryside with a blanket of bright yellow mustard blooms around barren vineyards and rolling emerald green hills. Go for a spin in downtown Napa. To buy gifts for your friends and family back home or just to treat yourself, go to Oxbow Public Market for delightful artisanal treats and high-quality, seasonal, delicious cuisine. Watch some live music and live plays, attend numerous art galleries and workshops, and a lot more! A hot air balloon ride can be done in any season of the year… spring, summer, fall and even winter! As long as the atmosphere is calm, and the weather is cool, the hot air balloon ride can be enjoyed! As the balloon is floating gently up in the air, enjoy the spectacular views of the Napa Valley with neat, endless rows of grapevines, deep valleys, rolling hills and mountains. The whole Napa landscape brings out its beauty in every season everywhere you look. Of course, don’t forget to take pictures of the breathtaking scenery while enjoying the experience of flying in a hot air balloon during sunrise. Enjoy the sunrise hot air balloon ride and gain beautiful, lasting memories with Balloons Above the Valley, the pioneer and the leader of hot air balloon transportation to tourists for over four decades. When you want to experience this wondrous airborne journey in any season, you can rely on us to assist you with booking your ballooning adventure. When is the best time for fun things to do in Napa Valley? To tell you honestly, there’s actually no bad time to visit Napa Valley. 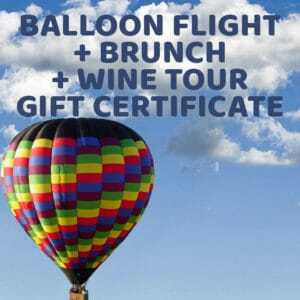 Every season has its own charm in the Wine Country, and you can do anything there as you please, from visiting wineries to enjoying a sunrise hot air balloon ride and anything in between.